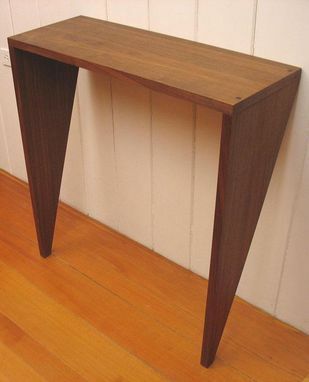 This side table is made with 1" thick FSC certified walnut veneered plywood. It is attached to the wall using hidden fasteners. It can be moved from the wall very easily. Danish oil finish.